John qualified as a lawyer before clerking for the President of the New South Wales Court of Appeal. After a short spell as instructing solicitor to the Director of Public Prosecutions, and two years as a solicitor in private practice, he went to Cambridge to undertake the Cambridge LL.M. John also submitted a dissertation in theoretical biology and philosophy of science at the University of Sydney. Called to the bar in 2011, he left a year and a half later when, having turned down an offer to pursue graduate biology in Milan at the European School of Molecular Medicine, he decided to undertake doctoral studies at the Australian National University in cognitive science and philosophy (working with Kim Sterelny and Tori McGeer). 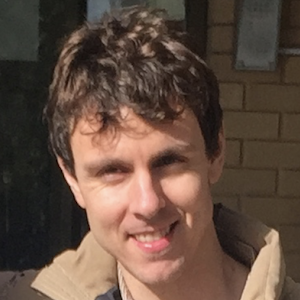 His dissertation was entitled Neuroplasticity, neural reuse, and the language module, which revisits the notion of a cognitive module in light of recent advances in neuroscience, and evaluates the prospects of a hardwired and dedicated “language module.” His thesis was submitted in August 2017. John was the recipient of a Cambridge Commonwealth Trust scholarship to undertake the Cambridge LL.M. (2008), wrote the highest-ranking thesis of his year at Cambridge (2009), and won the Lucy Firth Prize (valued at $1000) for best publication in philosophy at Sydney University (2010). He has published numerous articles, canvassing law, political economy, philosophy, and cognitive science, and three books, of which the two most recent will be released in 2019 (The Adaptable Mind, with Oxford University Press; and A Citizen's Guide to Artificial Intelligence, with MIT Press). His published work appears in such journals as Philosophy of Science, Synthese, and Philosophical Psychology.